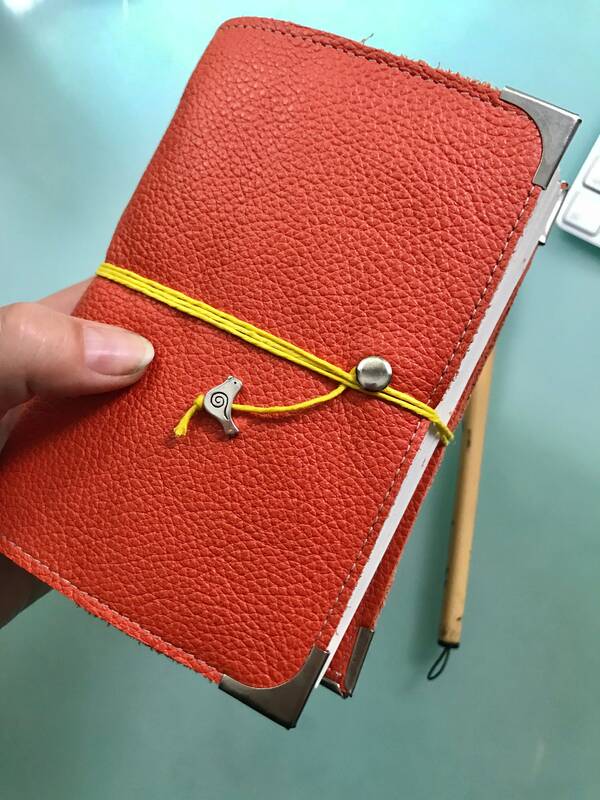 This is our Merlin Leather Handmade Watercolor Notebook. Did you know that a Merlin is a small species of falcon? 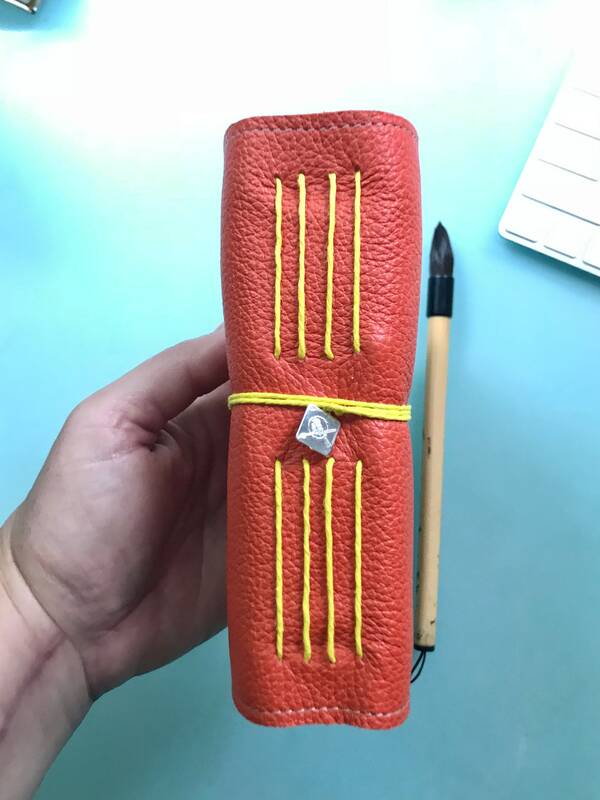 We love birds here at Pfeiffer Art Supply and wanted to name this small, exquisite journal after the Merlin Falcon. 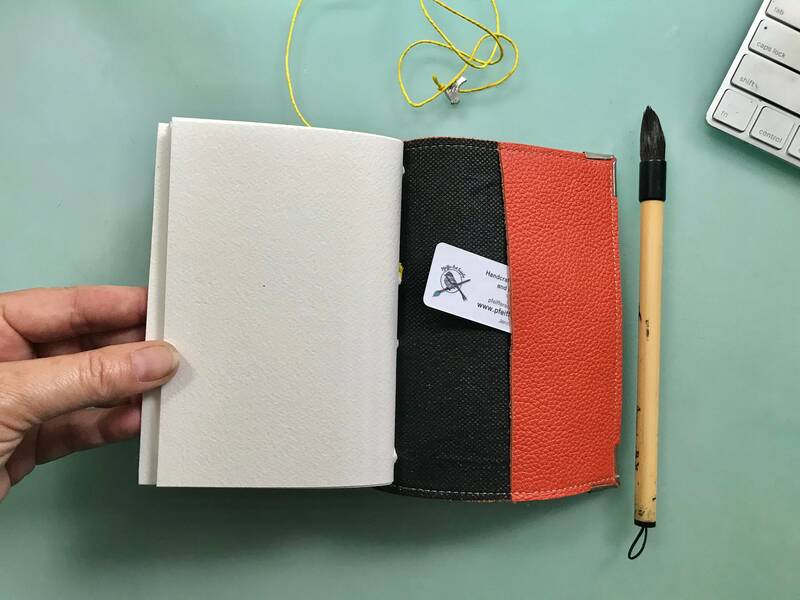 This listing pictured is for a Orange (Yellow hemp cording) leather handcrafted Watercolor Journal. Paint brush, (Piccolo brush in shop pictured) not included. Page size is 3.75" wide by 5.75" tall. 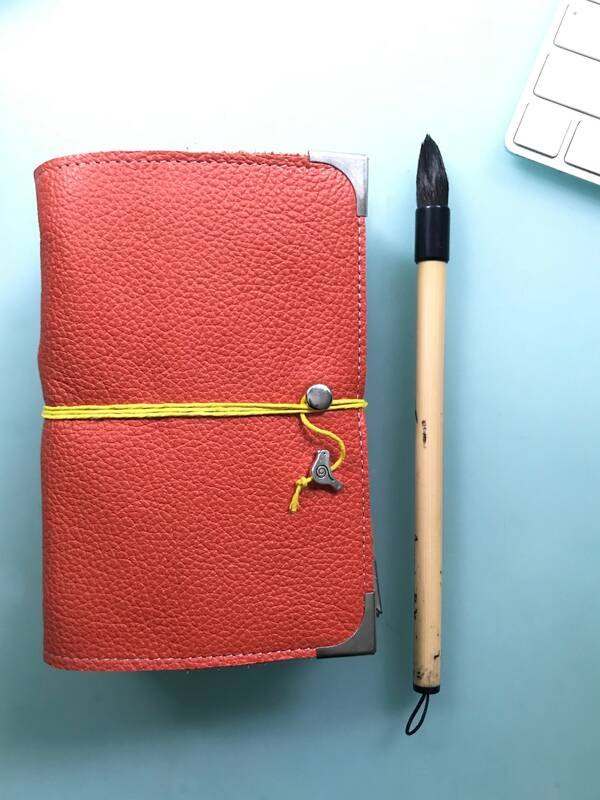 This is handcrafted by Pfeiffer Art Supply. 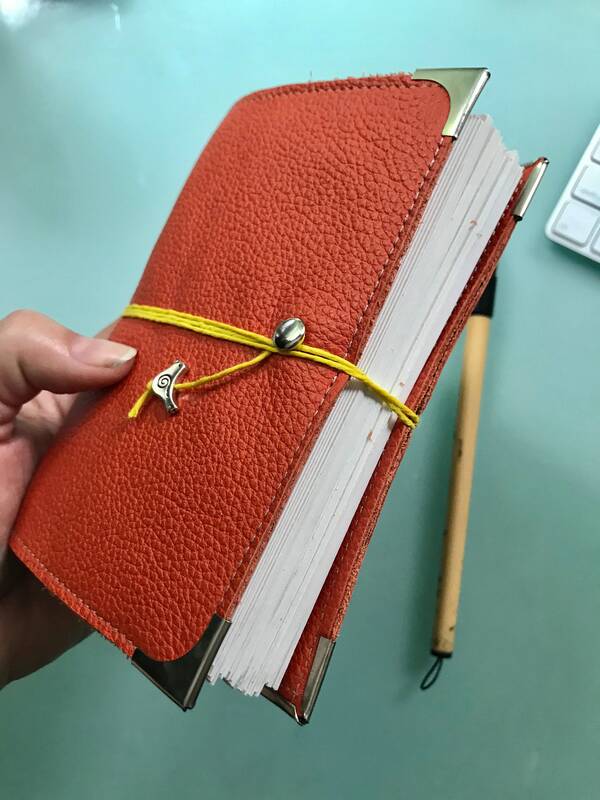 Each journal is one of a kind.